This retelling reviews the whole of Jesus' life and ministry in order to show it all makes sense in the light of the resurrection. 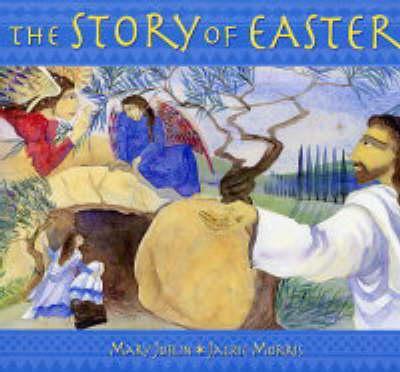 The story is rooted in the accounts of the creation, and moves on through the Annunciation, and the Nativity to Jesus' teaching ministry, the Crucifixion and Resurrection. Mary Joslin is married and has 3 grown up children. She began writing when her own children were still young and has since written books that have been published throughout the world. For Lion these include Our Father, The Tale of the Heaven Tree, Do the Angels Watch Close By?, The Merchant Enticed by the Pearl of Great Price and The Story of the Cross. She likes kayaking, canoeing and gardening. JACKIE MORRIS gained a BA in illustration from the Bath Academy of Art in 1984 and went on to undertake a wide range of commissions, including books, magazines and greetings cards. She began to focus on children's book illustration around the time her first child was born. Books she has illustrated are now published in several languages around the world.